It's almost that time of year again - The seed swap in one of our local cities (Hereford) is on this weekend. I always look forward to it. I've even put off ordering my seeds until afterwards so I know what I need. Today was a wet and miserable day so I took the time to bag up some parsnip seed I saved from earlier in the year, I had a little help as well. I've got some more things to bag up yet as well as plenty more parsnip seed! If anyone wants any parsnip seed then please let me know, this stuff is last years seed and grown in the UK so I'm hoping it should be good stuff! Anyone else going to a seed swap this year? Just a short video showing the progress I made on the extension over the weekend. I just need to keep this pace up now! This roof has been my nemesis lately. 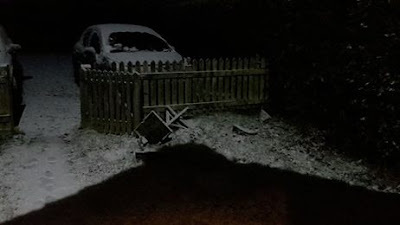 I've not managed to get out there and finish for a number of reasons, either the weather has been against me (to cold for the mortar to go off or too wet to not wash it down the roof), my wife and children have had different bouts of poorlyness or we've had things like birthdays to contend with. So it's just sat there, in it's unfinished glory, taunting me every time I go to get in the car. Yesterday I managed to get out there and even though it had forecast rain for the afternoon I'd thought I'd risk it. 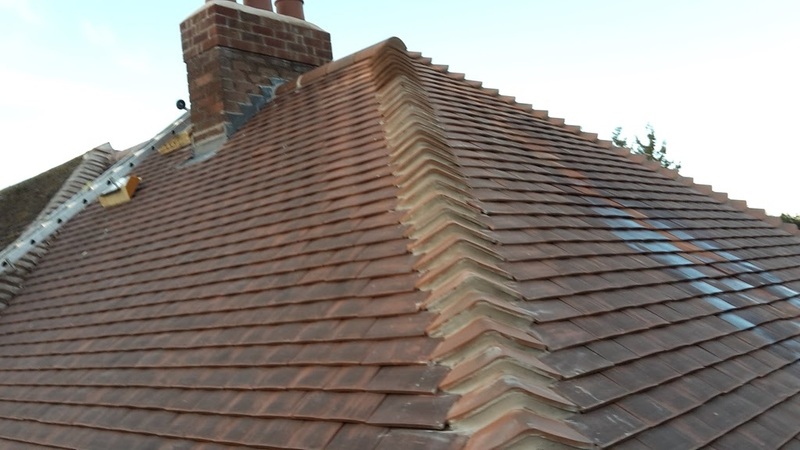 Luckily the rain never came and I managed to have a good run at it, I did think I was going to run out of tiles at one point but luckily I'd got just enough (about 30 or 40 left over I think). Stepping back last night and look at it I'm really pleased with how it's turned out. All four of the hips I've had to do up there look really tidy and the lead work around the chimney does as well. 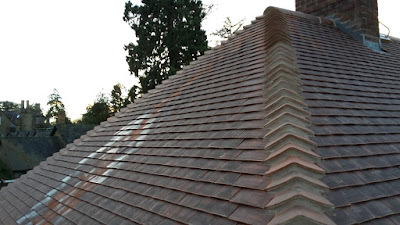 A good, solid, waterproof roof, One that should last for many years. There's still lots for me to do up there (not today though as it's meant to rain all day). 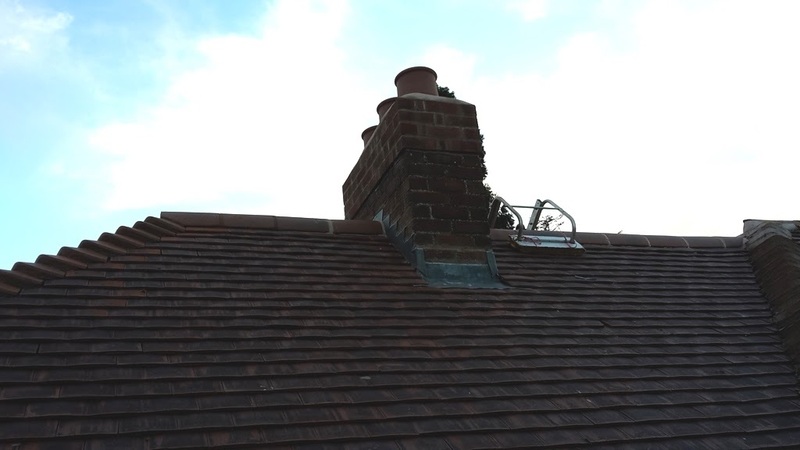 I've got to fit the gutters and line and insulate the chimney. The chimney is cause me a particular problem as I can't insulate it properly until I block the bottom off, and I can't do that until I know it through into the extension and we're a long way from doing that. I have got a plan though so we'll see how I get on! Also I've taken the my last two posts down. I've enjoyed your all your comments and they've been both popular posts, but I've decided that I'd rather talk to this woman face to face next time something like this happens. Rather than her reading it in a few months time if someone at school mentioned my blog (the dangers of using my real name). I've saved both posts and all the comments though so please don't think they were wasted. Thanks again for all your input. 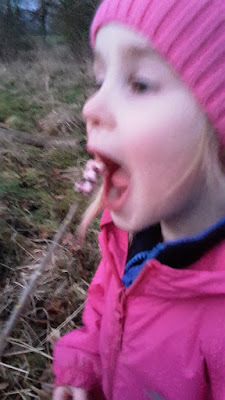 Well we had the forest school party at the weekend and I can happily report that no children broke any limbs or spontaneously combusted! The party worked really well, My eldest shared it with one of her friends from school, so we as parents could share the burden a bit! 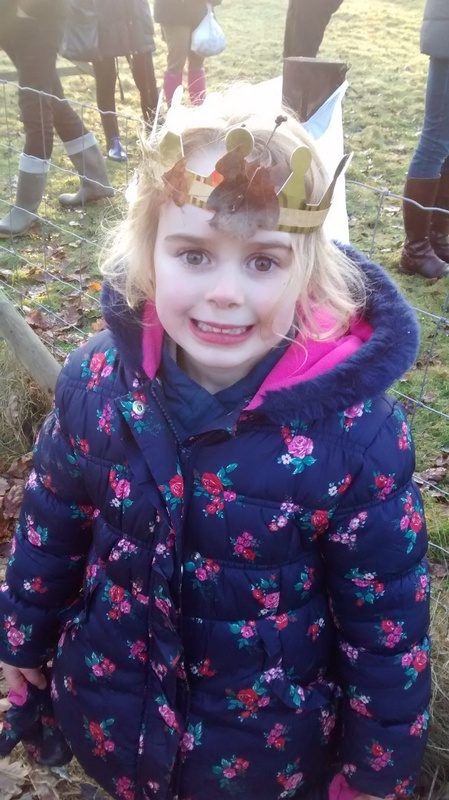 Leaf crown on the birthday girl! We'd set up a few activities for the kids, so they split into groups. 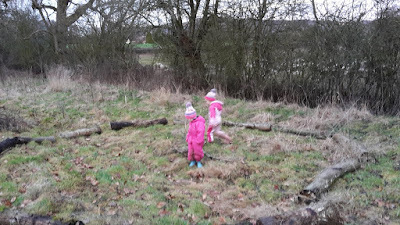 The one activity was a treasure hunt I'd made up in the bottom field. Around the field I'd left different cards with pictures with animal tracks on, each track had a letter which they had to match up to a sheet they'd been given. Five different animal tracks with five letter to make up the word "Field". It was great and as I'd spaced it right round the field (with one well hidden one) they were all running all over the place, burning off lots of energy. When they got them all they got a packet of sweets as a reward. Around the fire the children could roast some marshmallows and my brother had cut some fresh willow sticks to roast them with, we had set a limit for each child but I think there were a fair few that had more than their quota of marshmallows! 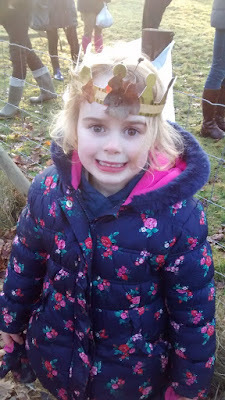 There was also crown making with some cardboard crowns with sticky backed tape around the outside, the kids then collected leaves and grasses to stick on them. They all seemed to enjoy all of it, being outside and running about in the open space. We then headed back to the hall for party food (I'm going to have a major rant and moan/vent about something to do with this later in the week), all the kids were all great and really well behaved, whilst all the parents had a good chat and warmed up a bit by the heaters. 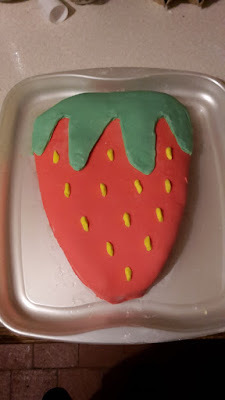 Both the birthday boy and girl had their cakes (I had to make a second strawberry cake for this!) and blew out their candles. 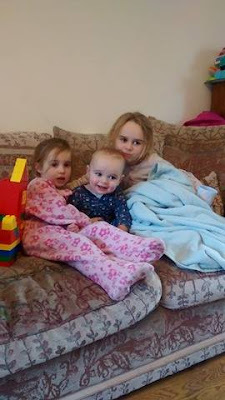 It all went really well, kids went home happy, but I was really happy when it was all over! A lot of preparation, planning and baking went into it! 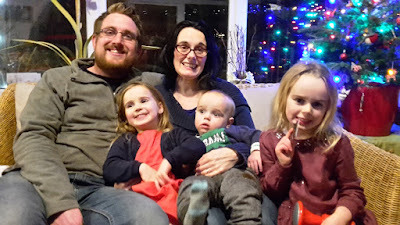 We ended up with three very tired children and two very tired parents by the end as well! I was cream crackered! Anyone that read this blog will know that each year I graft a few apple trees, this keeps the skills fresh in my mind as well as creating some great old and interesting varieties of apples. This year I've finally got round to selling some and I've listed them on my Etsy shop, although I have many more types that I've not put up yet. Anyone who is interested please leave a comment or send me an email or Facebook message and I'll put some great deals together for multiple trees. I'm not out to make a huge profit, I just want to fun this hobby and create some nice trees in the process! All the apple trees I grow are grown on MM106 root stocks which I find grow well in most conditions but are easily controlled by pruning. I even use this type of root stock to grow my 30 cordons down my garden planted 2ft apart. I grow and graft all the trees myself, here on my small holding in Herefordshire. Everything is grown using organic methods. Scion wood used to graft on to the trees is collected from old local orchards. 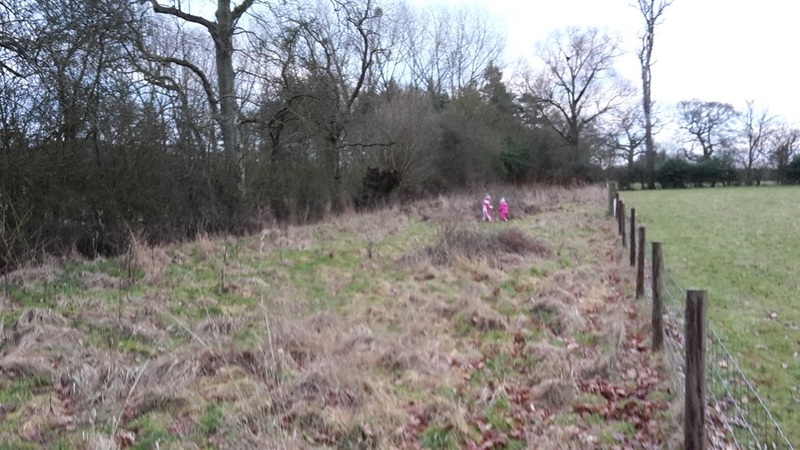 The trees are grown slowly on a north facing slope, which means that when they are shown some love and care they will romp away! The only pest control I use is to let the chickens into the nursery each winter to eat the bugs, no sprays of any sort have been used on these trees. Trees will be packaged for sale as bare root trees. Trees should be pruned before they are planted by at least a third to make up for the roots they have lost when they are dug up. I may prune some of the trees before hand to make packaging possible! They will soon put this growth back on and benefit from it. Trees should be planted with the scar (where I grafted the tree) above ground. When you receive delivery please either plant straight away or heel them into the ground to prevent the root from drying out or the frost affecting them. These trees are all two or three years old and tend to range from 3 - 6ft, although most will be trimmed down for shipping unless you message otherwise. 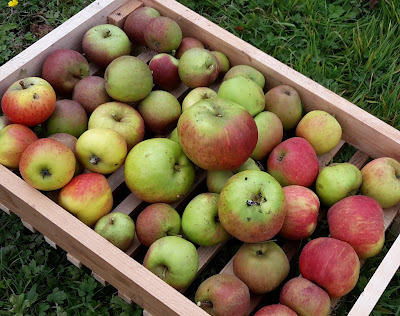 Orleans Rennit 18th century french apple that some say is the best tasting apple ever. I use this blog as a diary of things I've done here, amongst other things. Also as a record of all the birthdays cakes I've made over the years! 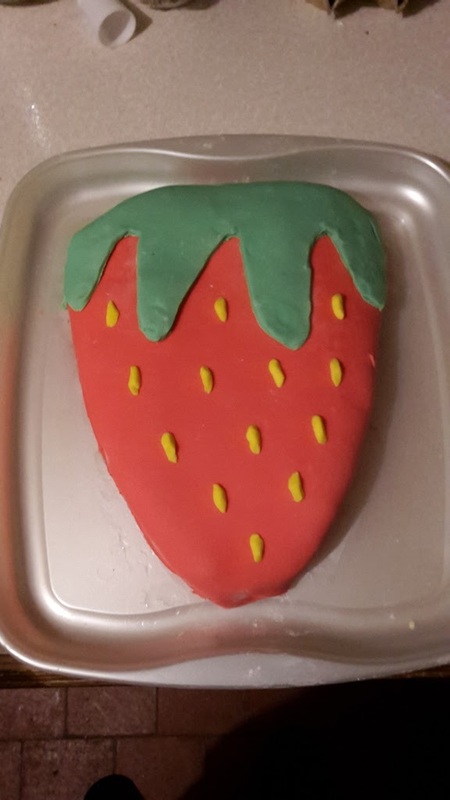 My daughter was five over the weekend and when I asked her what she wanted she said a cake in the shape of a strawberry. I didn't try to discourage her as I thought I might be able to pull this one off! A random request though but still easier than if she'd have asked for a raspberry! 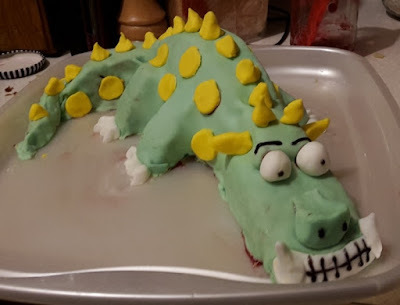 I think I've got to make another one for her party at the weekend now! Sometimes the excitement in my life knows no bounds. 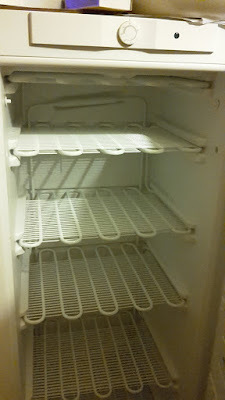 One of the first jobs I did this year was to defrost the freezer that stands in our dinning room. 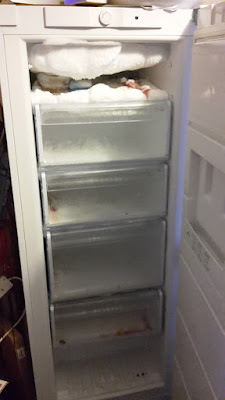 As you can see from the picture above it was long overdue, drawers were hard to open, there were things in there that I had no idea what they were, a polar bear had taken residence in the top box - it was time for a sort out! I took everything out, sorted through it all, chucked away some old stuff, shuffled it round so I knew what we had, stored the good stuff in the other freezer then set about defrosting it, towels at the ready. Not sure why I put it off so long, it's so much easier now I can see what everything is and can get stuff out of the back of it. Before it was like my dirty little secret, I'd try to open it so people didn't see in! 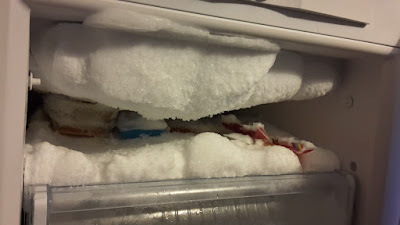 Anyone else have a freezer that looked like mine or is it just me that lets things get this bad? I came across this story a few years ago but think it's so incredible that I tend to read it again every year, it's about a Russian family that, to escape religious persecution, disappeared into the heart of Siberia. 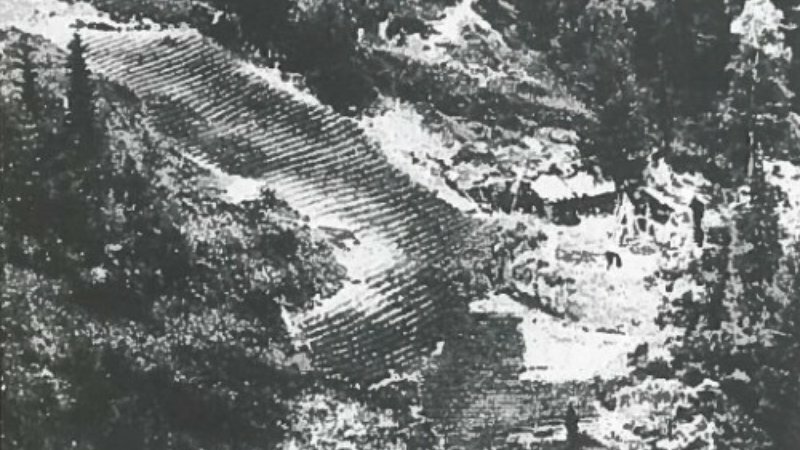 They grabbed what they could and in 1936 headed off into the wilderness. They lived in such isolation that they didn't even know about World War 2 , it was a full 40 years before they were discovered. What I think is really incredible is just their shear survival, growing what they could and living on the brink of starvation, saving just enough seed to grow food for the following year and eating the rest. 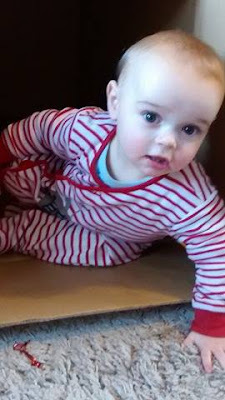 I'm sure many of you have come across this story before as it has been shared on many blogs (I think I came across it first on Gorges blog many years ago) and news sites but if you haven't then the article is well worth a read. What other stories of survival do you find amazing? This is something I've been meaning to do for a while, but with my eldest daughters party next weekend I decided to get out there and make a log circle. I've decided to make it in our little willow coppice area. It's far enough away from the house to be an adventure for the kids when we use it on an evening and away from all my machinery for the party! 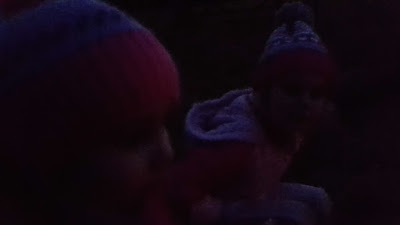 I had my two helpers helping with the layout and building a little fire to christen it. 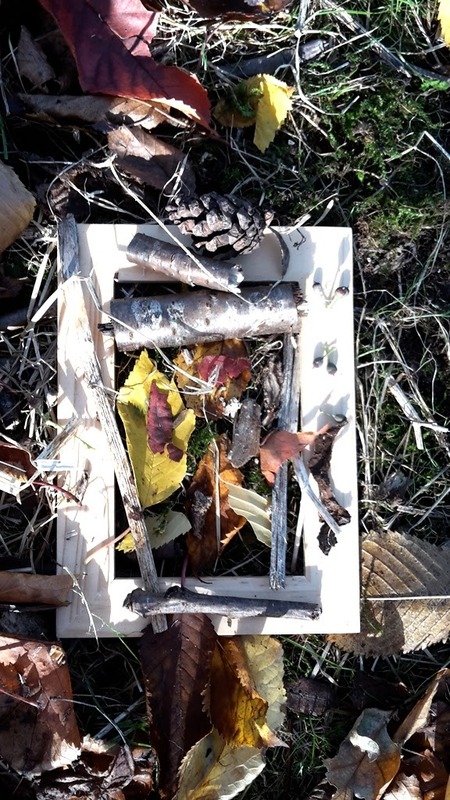 they loved collecting sticks and building it up in the middle. My eldest was explaining the rules of the forest school that she does at school to me and her sister. 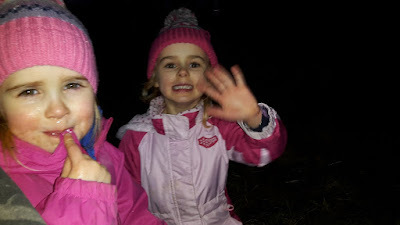 She was very sure that you only walked inside the log circle if an adult was with you or told you to do so - very sensible rule when fire is involved. I think it'll be great to keep some of these rules going with them and it should make the party easier next weekend as her whole class already knows these. I plan on asking the teacher, getting a list and following the same rules if they make sense. 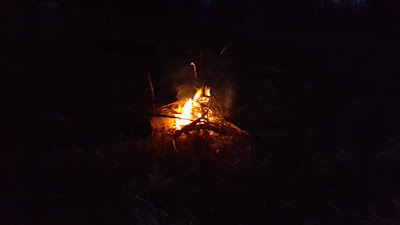 We finished off with a little fire and roasted some marshmallows (be rude not to) whilst we chatted about the sunset and had a cuddle around the fire, walking back when it was dark. Hopefully I'll be able to teach them some bush craft skills and cook out there occasionally. 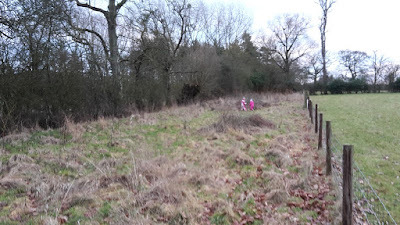 I'm planning on planting a few more trees in this area this year, buying some in and using willow cuttings to increase the future firewood area. Anyone else got an area for a fire outside? Do you use it much? A few years ago when I attended the Herefordshire seed swap for the first time I was talking to one of the guys that helps run it and he recommend an author for me to try out. In the back of my diary he wrote the name Carol Deppe and a few of her books for me to try. Now her books aren't cheap but they are full of information (I've ordered another one this week but don't tell the wife - I'll say I'm using Christmas money! ), her book on breeding your own veg is fascinating and has given me many ideas to try. There's a level of detail that you don't find in many books outside of an educational course, but she still writes in an interesting way with examples from her life and that of her friends. Here's an interesting interview with Carol Deppe, what she has to say on seed saving and breeding is so true. We need to keep the gene pool available to everyone for breeding and having patents on a living thing is a ridiculous idea funded by large seed companies. In doing so they have control over what we eat and how it's grown. The Open Source Seed Initiative that she is promoting in this video is a great idea. It ensure the rights of farmers and gardeners to be able to save and replant seeds (that have been pledged to the initiative) for generations as well as being able to breed from them to develop new strains, which then have to be available under the same initiative. A great idea that I hope continues to grow. For some reason she ends on a song, don't judge the video on that song! 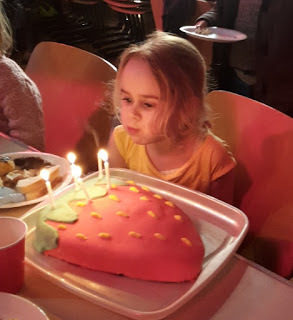 My eldest turns five this week (I can't believe how fast that time has gone!) so for her birthday we're going to have a shared party with one of her friends from school in a few weeks time. The bar has been set pretty high with the children's parties that we've attended so far, but one we really enjoyed was one set on a farm doing a few outdoor activities like den building and forest pictures. 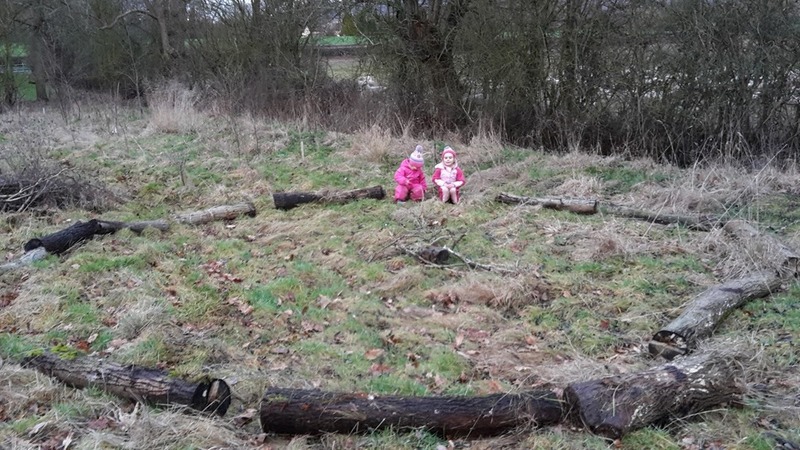 So we thought we'd try something similar and arrange a "forest school" type party here on the homestead, with the village hall type building we have near by rented out for food afterwards or in case it rains. The party is going to be a couple of hours long and I have a few ideas for actives that they're going to do. The main one is I'm going to build a nice big log circle in advance so there can be a small fire burning, marshmallows can be toasted over it and it can be the meeting point when the actives are done. What actives do you think would be good for an outdoorsy winters party for a group 20 or so of 5 year olds? I'll really welcome any ideas to help keep them entertained! A little late on posting this one but I thought I'd share with you some gifts I made as Christmas presents this year. 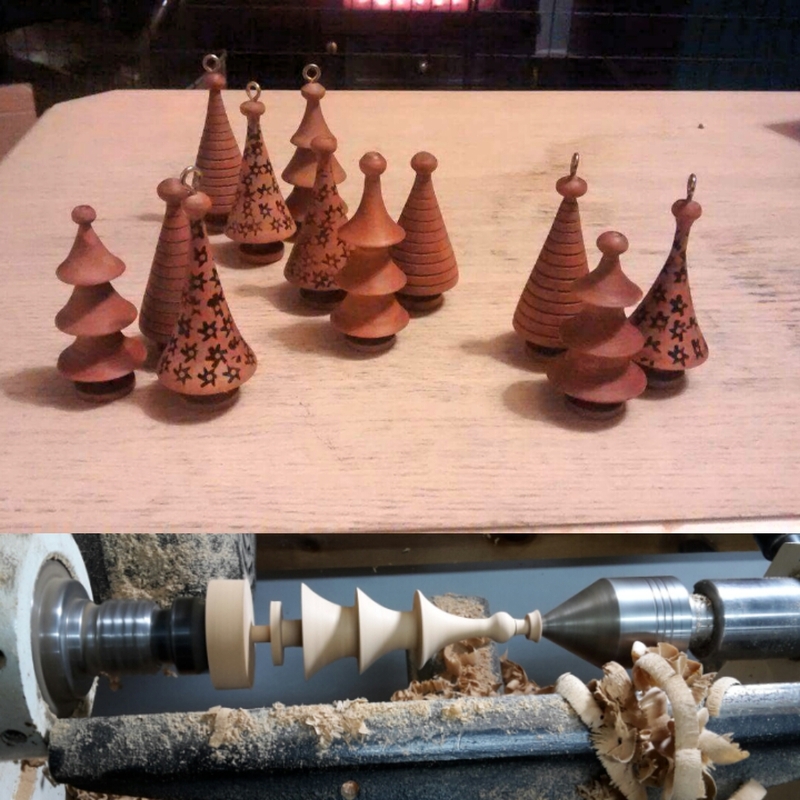 These are some little wooden Christmas tree decorations I turned on the lathe out of some beautiful pear wood from a friends stack of wood (it had been drying at his for years). I haven't been on the lathe much since moving here except for occasional repair jobs on chairs and the like, I just haven't had the time to turn much for pleasure lately. It used to be something that I really enjoyed doing, I had two years worth of regular lessons (where I was the youngest by about 30 years) and a great teacher, I was really pleased that I hadn't forgotten it all, as although I work with wood a lot turning is a trade/ skill by itself. I gave out the decorations in sets of two or three and made six sets - you'd be surprised at how long these little blighters took to turn! Anyone else enjoy wood turning? What turned wooden item would you make for your homestead? Thanks for all your kind messages for my wife, she's much better now and went back to work today! 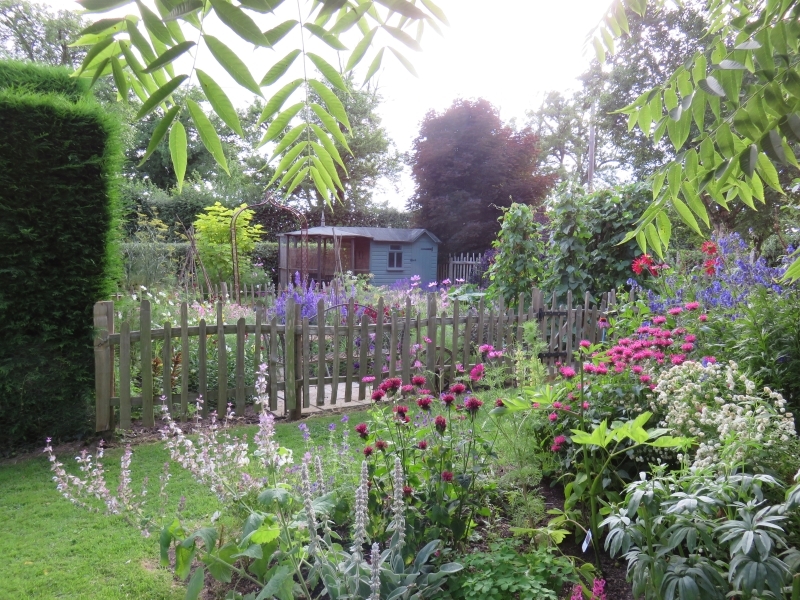 My mum sent me a link last night to show that she's going to open her garden for the charity this year with the NGS. I've posted about her garden before (click the link here to see) and it's easy to see where I get my love of gardening from, although mine is a very different type of garden! Her garden is simply stunning any time of the year but she has planned this garden to be at it's peak during July and that's when she is opening to the public for the first time. The dates for your diary will be Sunday the 16th of July and Sunday the 23rd of July, so everyone keep your fingers crossed for good weather! The link on the NGS website can be found here as well. Although it's a long way off I hope to see some of you there, it's for a good cause and I guarantee you won't be disappointed! Would you ever open your garden to the public? It's not been the start to the new year we wanted. My wife has caught a bug or something that has caused her to have a constant headache and sickness since the 29th of December. For three days she couldn't even keep a glass of water down, making it very difficult to keep her hydrated. In the end, on New Years day, we went to see the out of hours GP at the hospital while a friend looked after the children. He gave her an anti sickness injection so she could at least get hydrated. Since then she has improved a little, drank water but still not eaten anything. She's had to miss the first couple of days at her new job and she's really gutted about this - not the first impression you want to make. 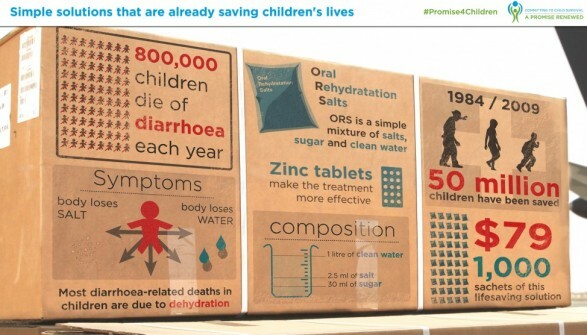 It does make you grateful about certain things though, the fact that we know how to treat something that we see as simple like hydration when your ill. Just the knowledge that keeping hydrated is important is enough to prevent sickness becoming more serious (kidney damage, death, etc) and the knowledge that we now know to give salts at the same time has save millions around the world. Taking a solution with the right levels of salt and sugar can increase water absorption into the body by 2 - 3 times, but if the level is wrong then if can exacerbate dehydration. 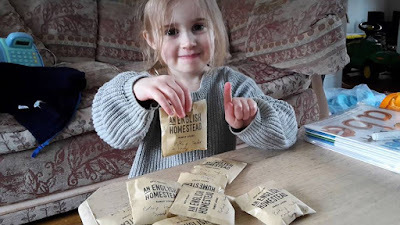 We buy ours in ready made packs that we mix with water (and normally a little squash to make it taste better), it's worth having a good stock of these as they don't go off very fast, but it's simple to make your own in an emergency. When I was looking for information on this I came across Tokyo's Disaster Preparedness Website where they have a free PDF download on how to deal with a disaster and respond to an emergency. Really worth a read, click the link here. Have you ever had to make your own rehydration salts? Here's wishing you all a Happy New Year. 2016 has seemed to get a bad press, but for us it was a great year with loads going on. Hopefully 2017 will bring lots more exciting possibility and opportunities! We wish you all the best in the coming year!